Three men targeted the man at his home in Polmont earlier this month and obtained the money but did not carry out any work. 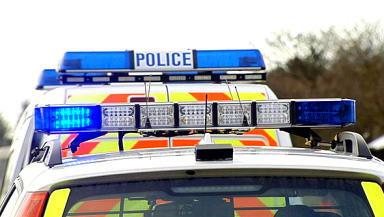 Bogus workmen conned an elderly man out of more than £1000. The 67-year-old handed over a four-figure sum of money for work on his house that was never carried out. Three men attended his home in Marchmount Avenue, in Polmont, near Falkirk, before one of them accompanied him to the bank to get money out to pay for the work. Central Scotland Police are appealing for information after the bogus workmen targeted the man between Monday, October 3, and Saturday, October 8. A police spokeswoman said: "One of the men even took the elderly man to the bank to withdraw money. "We strongly urge householders to turn cold callers away. If you are needing work done to your house then get quotes from reputable tradesmen and don’t rely on those who cold call. "No reliable tradesman will take the customer to the bank to withdraw funds. Under no circumstances should payment be made until the job is completed – unless by prior arrangement when a contract has been signed. "Always bear in mind that there is a cooling off period should you wish to change your mind. Full details can be obtained from your local trading standards officer." One of the conmen is described as being around 5ft 7in with short blond hair which was spiked in the centre. He was wearing a black top with multi-coloured logos or badges with blue jeans. The second man is described as being around 6ft and was wearing a dark hooded parka-style jacket while the third man was said to have brown short hair and was around 5ft 8in. Anyone with information about the con is asked to contact the police on 01786 456000.